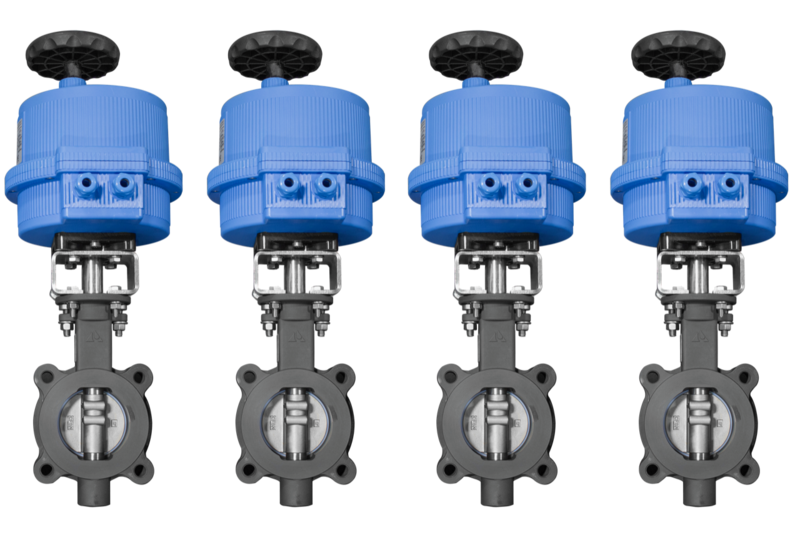 These electrically actuated Delta T Products high performance butterfly valves, were integrated by Max-Air using another manufacturer’s electric actuator. Brackets and Couplings were manufactured by Max-Air and all units were tested, calibrated, and certified for the end user. Packaging with foam ensured safe delivery to the installation location.